Members of two rescue teams had to carry an injured walker almost two miles during an operation lasting eight hours. Northumberland National Park Mountain Rescue Team and the North of Tyne Mountain Rescue Team were asked by the ambulance service to help with an injured walker in the Hedgehope area of the Northumberland national park. The volunteer teams were called out shortly before 3pm on Saturday. A Northumberland National Park team spokesperson said: “On receiving the call the exact location of the casualty was not known. The teams were able to speak to the casualty’s two companions on the hill and determined that they were most likely near to Coldlaw Cairn. “The casualty was located by the mountain rescue teams at 5.15pm at Coldlaw Cairn, some 3km from the closest location drivable by 4×4 and at an altitude of over 600m above sea level. “After stabilising the casualty, who had a shoulder injury, a helicopter was requested for evacuation. However it was unavailable due to the prevailing weather conditions. 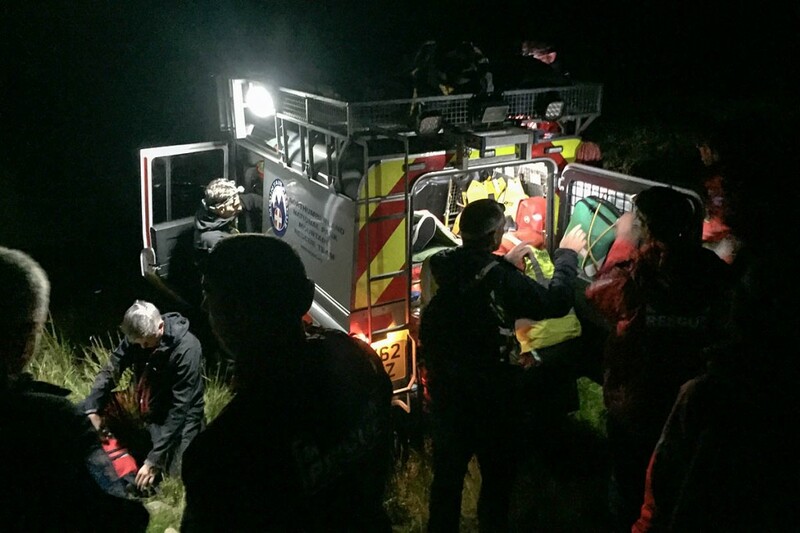 “With darkness falling, the casualty was initially slowly walked a short distance to Coomb Fell to help warm them up before an arduous three-hour stretcher evacuation in complete darkness over many peat hags and a river crossing. The rescue ended at 11pm and involved 18 team members. It is the third incident that the volunteers have responded to in less than two weeks and the 44th incident in 2015, making this year one of the busiest in the teams’ history with over two months left to the end of the year. The Northumberland team spokesperson said the teams were requested by the North East Ambulance Service on 6 October to help a man who had collapsed in the Yetlington area of Northumberland. On 30 September, the teams were called to support Northumbria Police in their search for Lloyd Neale, 63, who was missing in the Morpeth area. Mr Neale’s body was found in a wooded area near St George’s Hospital, Morpeth on 1 October. The incident involved 23 Team members for eight hours.